Some 10 years ago, Kyle Bryant and his parents, Mike and Diana, were casting about for a way to make a difference in the fight against Friedreich’s ataxia, the neurodegenerative disorder that Kyle — at age 17 — was diagnosed with in 1998. 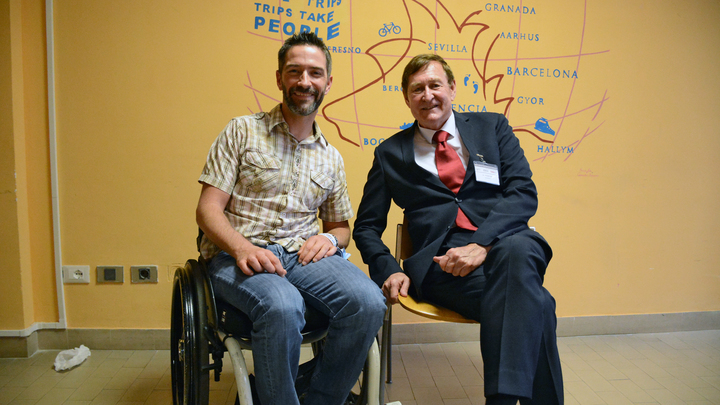 “We decided that we needed to do our part — we needed to do something to change our future and help the [Friedreich’s ataxia] community,” Kyle said in an interview with Friedreich’s Ataxia News during IARC 2017, the International Ataxia Research Conference held in Pisa, Italy, Sept. 27-30. They came up with the idea of a cross-country bike ride to raise awareness of the disease and money for research to cure it. The 2007 trip from San Diego to Memphis took 59 days, with Kyle riding a specially built three-wheel bike, Mike making sure all was going well with his son, and Diana driving a support vehicle. The family stayed in a travel trailer at night. “It was an incredible experience as a family,” Kyle said. And by raising $40,000, it helped the three “find the place where we fit in the puzzle of curing this disease,” he said. Over the next two years, the family did two more bike rides. The events raised additional funds, and the news stories they generated were a mother lode in the awareness-raising effort. 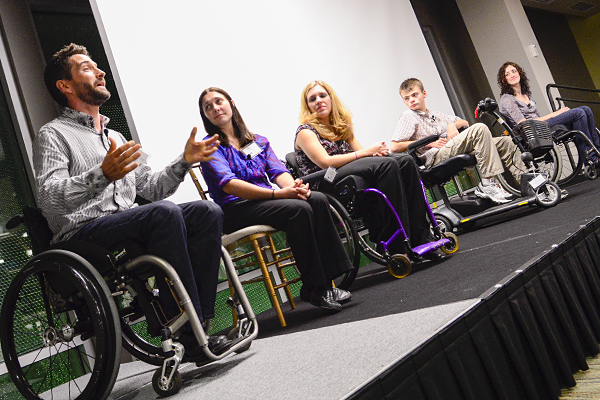 Aware of the rides’ potential if developed fully, and Kyle’s magnetic personality, the Friedreich’s Ataxia Research Alliance asked him to join its team in 2009. He has been the director of FARA’s Ride Ataxia program ever since — and the payoff has been spectacular. The program is now in six regions each year, and in 2016 it reached a milestone of $1 million raised. Kyle expects it to generate another million or more in 2017. He was all over the place at the IARC conference in Pisa, talking with other participants, watching presentations to learn more about the therapies that scientists are working on, and answering questions from journalists and others. “Not only is Kyle knowledgeable and hard-working, but he’s also one of the kindest people you’ll ever want to meet,” one participant said. Two things that excited Kyle and the other convention-goers were the range of ataxia therapy approaches that the conference highlighted, and the collaboration among scientists. Treatment approaches include gene therapy, gene editing, protein replacement, new compounds to counter ataxias, and efforts to tweak drugs that regulators approved for other diseases for use against ataxias. Mitochondria are the cells’ energy-generating components, whose function is impaired in ataxias. Scientists have identified lack of the protein frataxin, whose absence affects iron accumulation in mitochondria, as the cause of Friedreich’s ataxia. RNA, which carry instructions for creating proteins to genes, are also defective in ataxias, scientists say. 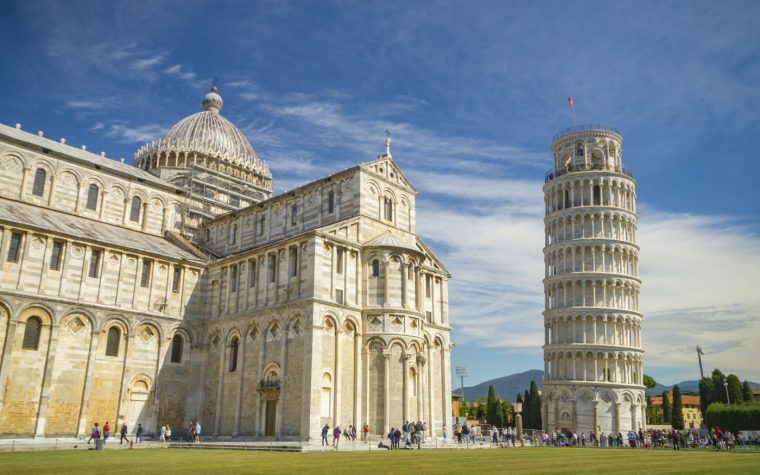 Another conference participant told Kyle that he had seen more collaboration at Pisa than at any of the many other scientific conventions he has attended. The advocacy groups include the three that organized the conference — FARA, Ataxia UK and Italy’s GoFAR — plus organizations from a number of other countries and EuroAtaxia, an umbrella group consisting of ataxia organizations in Europe. The groups have stepped up their efforts to promote collaboration because ataxias are so complicated, affecting not only movement and balance, but also the heart, vision, hearing, speech and other functions. “We’re talking about science, right — but there’s magic going on in the collaboration,” Kyle said. Kyle will barely be able to catch his breath from the Pisa convention before spearheading the next to last Ride Ataxia event of this year in Philadelphia, where he now lives. Four that have already been completed were in Southern California in March, Dallas in April, Northern California in June, and Chicago in July. The Philadelphia event will be Oct. 16, and the year’s final ride is in Orlando Nov. 12. Kyle participates in each event. He remembers with a feeling bordering on reverence the day he brought his three-wheeler home with the help of a loan from his parents. “It was like getting a pair of wings,” he said. No doubt, his ultimate hope is for everyone with an ataxia to fly on the wings of a cure some day. Tagged #IARC2017, FARA, Friedreich's Ataxia Research Alliance (FARA), Ride Ataxia Friedreich’s Ataxia Research Alliance.